Turyalon is my favorite made up character. Turyalon comes from War Craft II, In War Craft II, his name is Turayalon, but I took out an "a". I decided to pick Turyalon because he is the leader of the knights. He is a Paladin. A paladin is a stronger knight, built with magic and brute strength. I love knights, I think they are the best and THE STRONGEST!!! 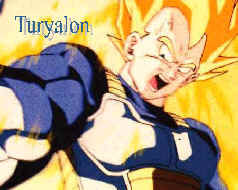 Turyalon is kind of a shape shifter in my point of view, I think of him as any kind of saiyan, Vegetto, Goku, Vegeta, whoever. 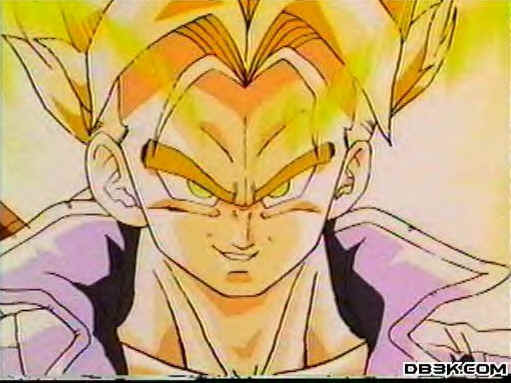 I like to think of the term... Super Saiyan Turyalon. My greatest encouragement to being in favor of knights so much is also because of the game... Suikoden II. This RPG (role playing game) for playstation is AWESOME! It's the bomb!!! It took me sooo long to beat it. Think of Final Fantasy VII, then you'll get a clue on Suikoden. Most characters in Suikoden were knights, or dressed as ones. The evil character... Luca Blight was a POWERFUL PALADIN!! He wore knight armor, and had a sword, his evilness is what had drawn me to him! :) hehe. Turyalon's last name is Blight, due to Luca. If you have played Suikoden II... then you know how EXTREMELY HARD it was to defeat Luca Blight. Another awesome character I know of that was a knight was Miklotov, he held his sword in a sweeet position when fighting. His picture is down below!